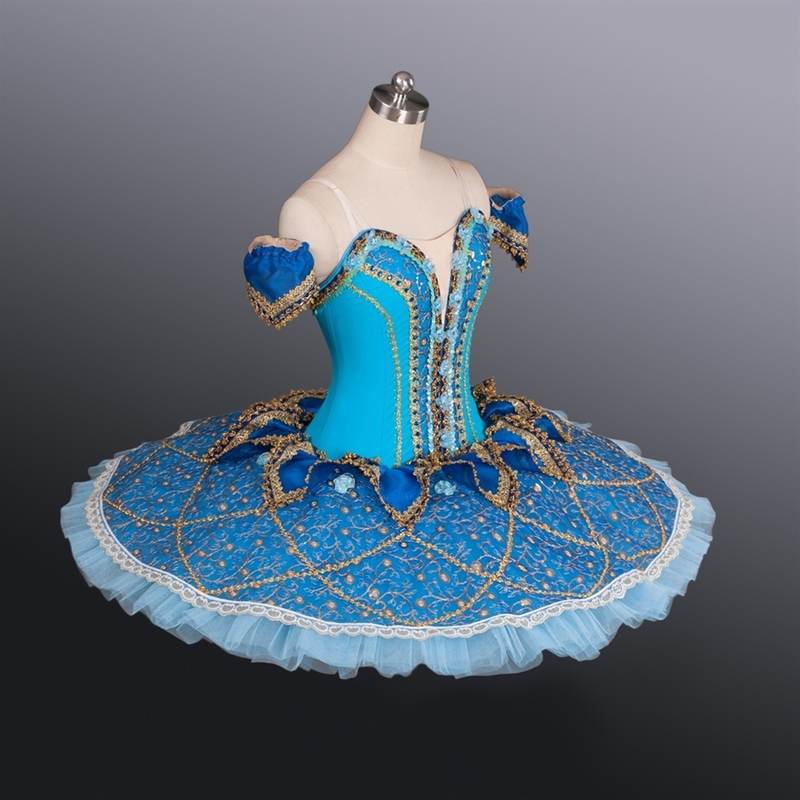 • Turquoise blue is the primary colour of the tutu, dark blue top layer over the light blue tulle, with golden trims to complete the look. 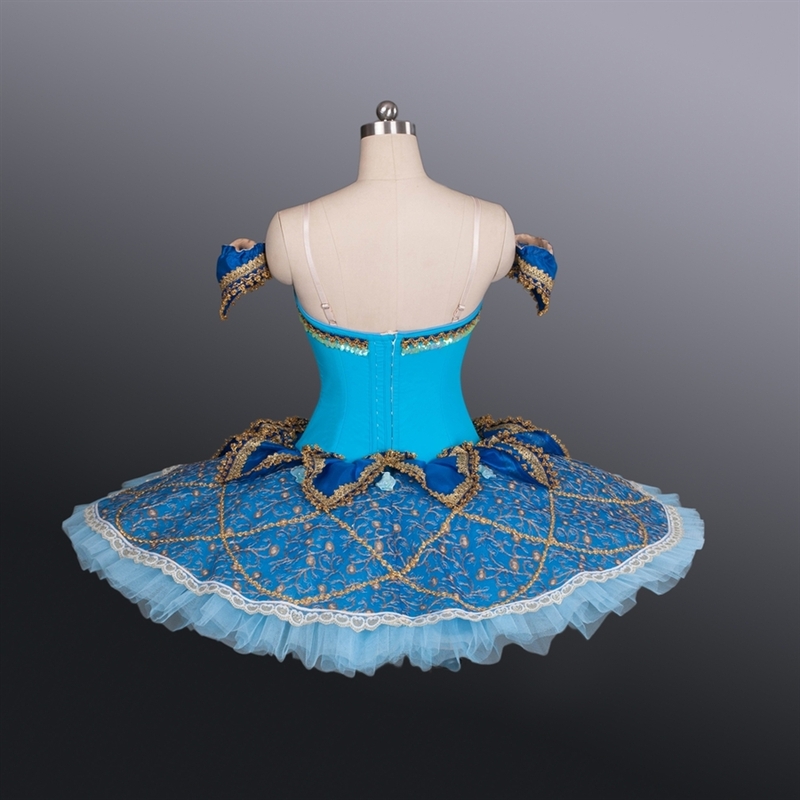 Golden rims decorate the tutu, with glittering pearls encircling the tulle of the performance tutu. 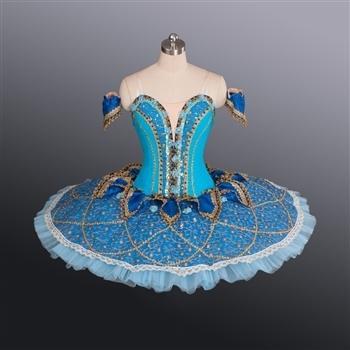 The uniqueness of this performance tutu will take your breath away. 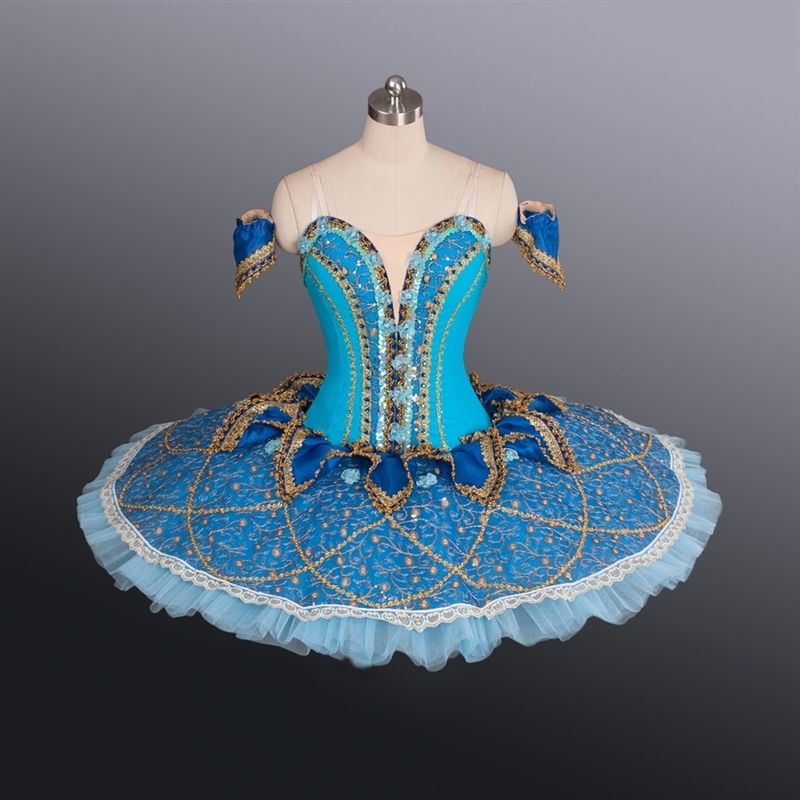 • The camisole turquoise bodice is made of high quality spandex Lycra which is fully lined. 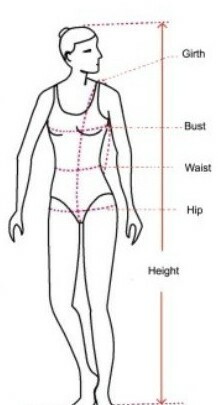 • The flesh coloured V insert at the front is shaped to fit the body perfectly. It is surrounded with blue flowers and glimmering beats all hand sewed on.